In Serbia, unlike in Italy, the word "femicide" has not become part of media speech, not to mention common language. Still unknown to most people, it remains a word confined in the language of organizations and movements defending women's rights. Yet, the bitter reality of violence against women in Serbia claims its urgency. This is demonstrated by statistics: in Serbia, more than half of women (54.2% in Central Serbia) has suffered acts of psychological, physical, economic, or sexual violence. Among them, one in three women has survived extreme forms of physical violence such as choking, burns, and assaults with objects used as weapons. At a recent conference on the subject, Stana Božović, secretary of the Ministry of Labour and Social Affairs, said that 23 women died as a result of violence inflicted within the family in the first nine months of 2012 only. Perpetrators are almost always partners or relatives. As reminded by Božović, in the 80% of cases the aggressor is the victim's partner – husband or boyfriend – and a son in 9% of cases. Women are assaulted, humiliated, and often killed "as women". Femicide is the annihilation of women who seek self-determination in contravention of the female roles imposed by tradition and patriarchy – submissive wife or sexual object, as is nicely explained by researcher Barbara Spinelli in “Femicide. From social protest to the international legal recognition". On February 14th, the world danced against violence on women. Hundreds of thousands of people, men and women, used their bodies to dance in the name of those billion violated by violence against women. In Serbia, the dance conquered the streets of Belgrade, Niš, Leskovac and Novi Sad, as well as several smaller cities. In the capital, there were two meeting points: Republic Square and the open space in front of the railway station, where people danced to the rhythm of "Break the chains". The Belgrade event was attended by about three hundred people – hard to say whether they were many or few, in a country where the only truly numerous gatherings are those of nationalist extremists and football fans. I talk to Aleksandra, activist and expert on gender issues. She is satisfied: "It was since then [the time of the demonstrations against the Milosevic regime, ed] that so many people had not taken to the streets for a good cause". Yet, she immediately points out with irony: "If not for foreigners and NGO activists, there would be almost no one here today". I cross the crowd of smiles and arms waving in the air. I do notice some foreigners, but not so many to be honest. I recognize some activists, some politically committed teachers and researchers, and Saša Janković, ombudsman of Serbia. But most people I see do not look like "professional activists". There are so many girls and boys, probably students, some middle-aged ladies (and gentlemen) dancing in couple, girls whizzing tirelessly in the crowd, a very serious-looking little boy selling mimosas. Around three hundred people – which seems right, since three hundred is the average number of women that, each year, are accepted in Belgrade's "safe houses" (sigurne kuće) to escape the violence of their husbands, boyfriends, or sons. Just a few steps from Republic Square, in the Cultural Centre of Belgrade, the Museum of violence opened a few days ago. At the end of One Billion Rising, a bunch of people went to visit it, a gesture which is hard not to see as in continuity with the dance. The museum, says the introductory panel, is a socially committed art exhibit that showcases medical reports of the ultimate consequences of incitement to hatred, stereotypes, prejudice, discrimination, and physical violence. The atmosphere is sterile and cold as that of a hospital. 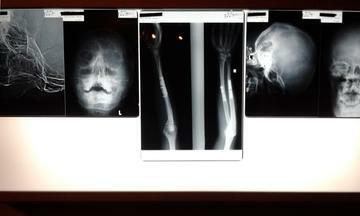 On the white walls stand out radiographies of broken limbs, jaws, and skulls, accompanied by medical reports that show diagnosis and prognosis. The names of the victims are censored, often of their own will. But the circumstances of such violence are clear – the 2008 Queerfest, the 2010 Pride Parade, and several other instances when people have been subjected to violence because of their being "different". The creator of the exhibit is Radojica Bunčić of organization Kulturpark. Radojica tells me that the plan is to create a traveling museum, which has its base in Belgrade and moves trough the region and the world collecting evidence of violence in all its forms. "We are taking the first steps and we are open to collaboration with anyone who shares our vision". What the young people working at the museum particularly care about is to create an educational platform involving middle and high schools students in open classes and debates, to learn to talk about violence in a new way, far from the rhetoric of the pathetic and media cliches. The material that will be collected, says Radojica, will also allow to compile statistics on the most common types of violence in our society, and so to their causes. 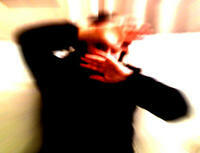 "But I'm afraid", he confesses, "that we already know the answer: it is patriarchy, male violence against women". 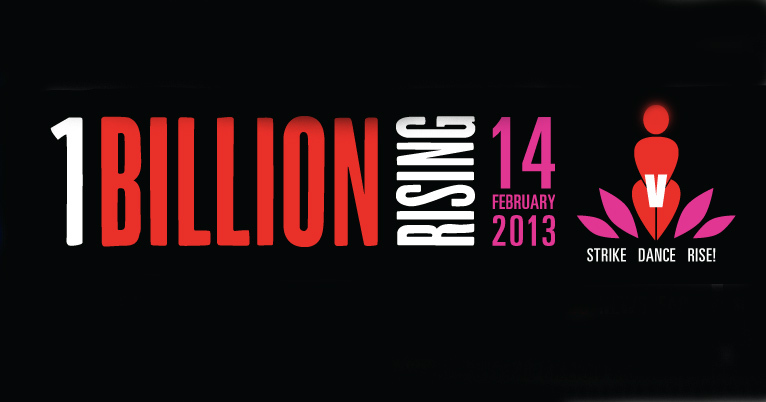 The dance of One Billion Rising is complementary to the work of the museum, continues Radojica, who extends an invitation to men to join the fight for women's rights, because by doing so they would better understand themselves and their situation. In fact, he concludes, "patriarchy is a power structure that constricts both men and women". The object that concludes the exhibition is a mirror. Beside, an inscription reads: "Look: do you see the face of a violent person? ".